The period covered by Arts:Search is 1896-1898. Available now. Edited by James Dudley Morgan. 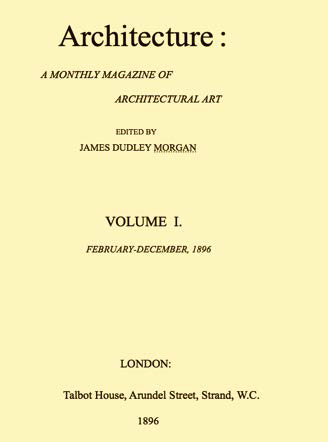 Short-lived architecture journal published between February 1896 and June 1898. Contains articles on contemporary British architecture. Also includes a series of features on early European ecclesiastical architecture and articles on architectural decoration, e.g. stained glass, tiles, and stone and metalwork. Among architects profiled and whose work is discussed are Richard Norman Shaw, C.F.A. Voysey, E. Guy Dawber, John Dando Sedding, Reginald Blomfied, etc.